Delivering an outstanding customer experience starts with fully understanding your customers' needs. To gain that understanding, it's essential to gather pertinent customer data and feedback, and then analyze it to find the keys that will unlock customer loyalty. Good or bad, this input is a critical component of a successful customer experience management (CEM) strategy. Customer and employee surveys are the building blocks of that CEM strategy. Done poorly, surveys may provide data that's inconclusive or, worse, can lead to bad decisions. But done properly, survey data provides invaluable, actionable insight that can help companies develop a successful CEM program. CRMI uses its expertise in measuring customer and employee satisfaction to design, implement, and analyze surveys programs customized to suit your specific needs. We offer three types of customer surveys: transactional surveys, relationship surveys, and key account interviews. 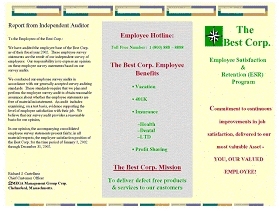 In addition, we offer Employee Satisfaction and Retention Surveys (ESRs). CRMI conducts surveys via Web, telephone, email, postal mail, and face-to-face, based on the channel or channels most appropriate for each specific survey. Transaction Surveys follow up on recent transactions or service events, such as closed tech support cases, field or customer service calls, and new product installations. These surveys capture and report on the quality of the customer experience or service is select areas of your company's service delivery chain. The primary respondents for this survey are end-users. Relationship Surveys measure customer satisfaction on a broader level. They may include questions regarding products, service interactions, perception of the company, and customer loyalty. These surveys can provide insight into customers' needs and preferences by customer segment, as well as uncover new sales opportunities. The primary respondents for this survey include end-users, middle management, and high-level decision makers. Key Account Interviews focus on increasing customer retention with a special emphasis on the highest-value customers. This methodologies identifies strengths and vulnerabilities that impact customer loyalty. They uncover issues and opportunities in areas as specific as products and processes, and as broad as cultural connections or clashes. The primary respondents for this survey include senior-level decision makers and key recommenders. The data and input from customer surveys will enable you to resolve concerns specific to individual customers, as well as broader issues that are preventing you from being a fully customer-centric company. CRMI can assist your organization in identifying competitive advantages, as well as deficiencies, and then help you prioritize and target opportunities to enhance the customer experience and improve retention. 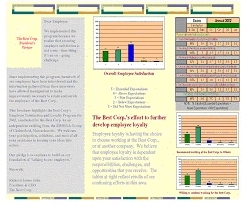 Employee Satisfaction and Retention Surveys (ESRs) are an essential tool for listening to and communicating with your employees. They also demonstrate your organization's commitment to employee satisfaction. ESRs provide the critical information needed to determine what training and education is required to provide not only career growth, but also excellent customer experiences. CRMI's Management 360-Feedback Program uses the feedback gathered on executive participants to recommend personal development opportunities. Each participant will learn such information as the extent their leadership style, behavior, and work competence is consistent with their company's core values. 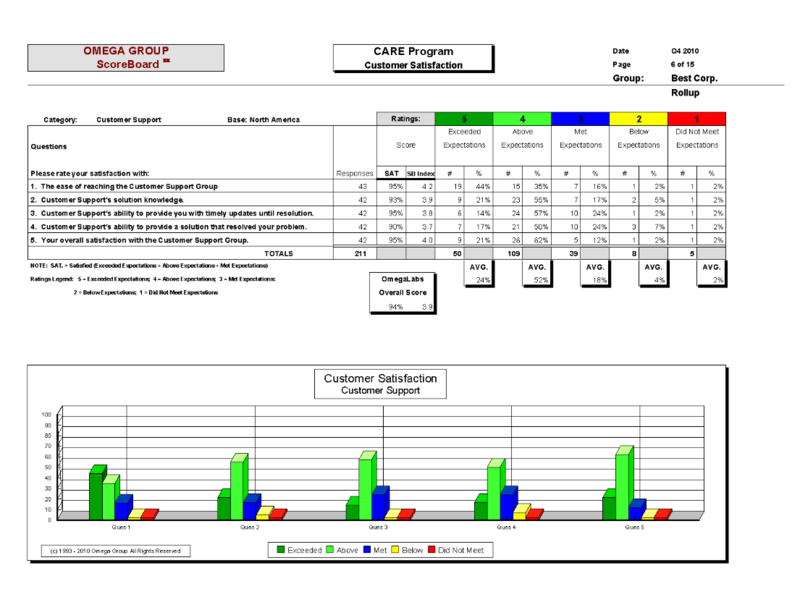 The program includes a unique web-reporting tool that displays the result in graphs and tables. 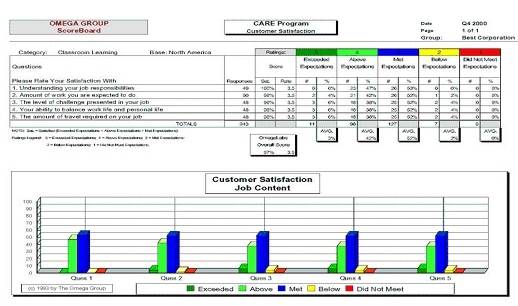 In addition, our Electronic Employee Feedback Report feature enables you to share your organization's mission and vision statements, as well as summarized employee survey results with graphical displays. Companies looking to have an exceptional customer experience management program in place—and using such methodologies as the CEMDNA Playbook Strategy℠—need a complementary program for customer and employee surveys that is just as robust. CRMI uses a highly effective Enterprise Feedback Management (EFM) methodology honed by leveraging our vast experience designing and implementing a varied array of customer and employee surveys. The approach includes determining the optimal channel or mix of channels for collecting data to get the best quality responses. Each channel has pros and cons that make it suited, or not, for specific survey goals and types. CRMI's EFM methodology also includes determining the ideal mix of structured (e.g., yes/no and multiple choice questions) and unstructured (e.g., open-ended questions) data.